The first OHV production Sunbeams were listed as the model 8 (350cc) and 9 (500cc) in 1924. 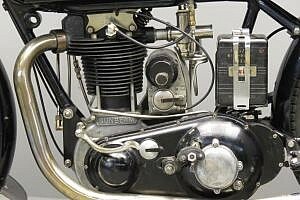 The model 8 with bore/stroke dimensions of 70×90 mm was an excellent sporty tourer, but stayed somewhat in the shadow of its more glamorous big brother, the 80×98 mm Model 9. 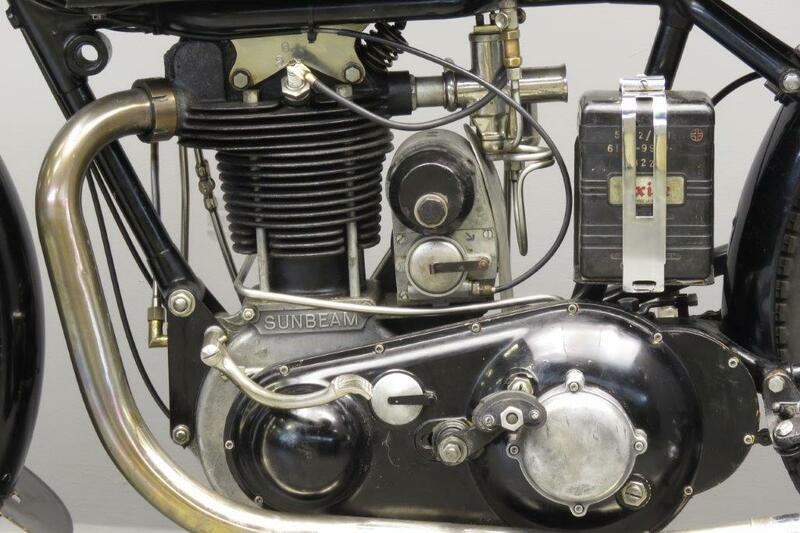 Initially both models were marketed as competition machines; no kick starter was fitted and the catalogue remarked “These OHV Sunbeams are built essentially to attain maximum speeds. 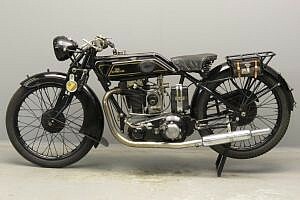 “ From model year 1927 the Models 80 an 90 took over the competition aspirations and the Model 9 soon got a reputation as a very fast and very reliable sports tourer. It stayed in production till 1939. 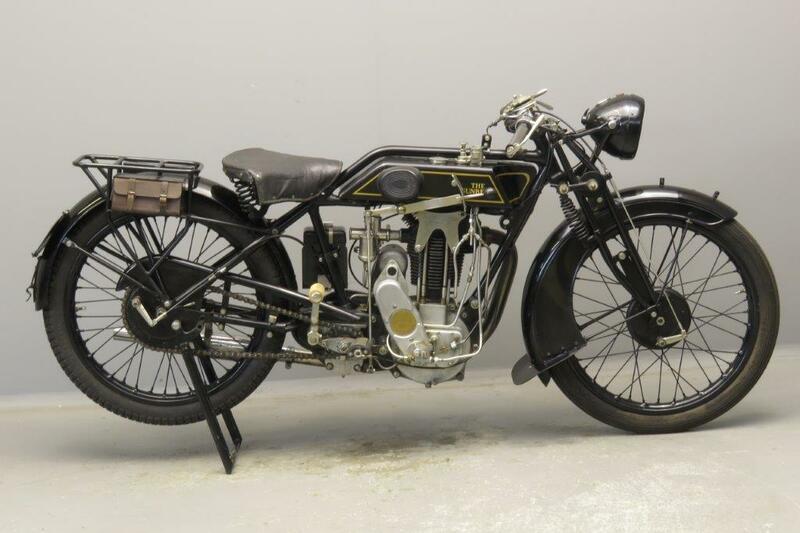 From 1932 on a 600 cc version ( Model 9A) was marketed, with engine dimensions of 88×98 mm, giving 599 cc. 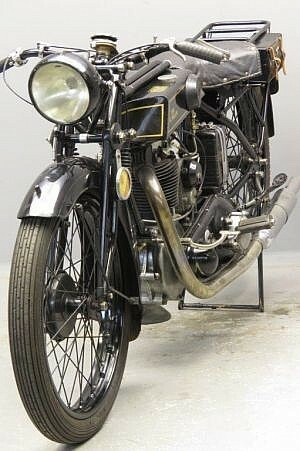 The 1927 catalogue description mentions: “This model has been improved in many ways since last season. 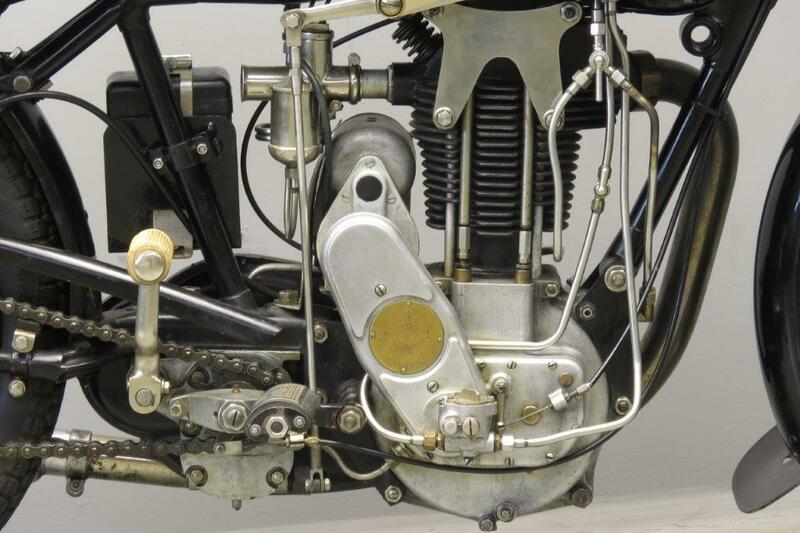 The engine lubrication has been simplified, the overhead rocking gear has been redesigned, giving greatly increased bearing surfaces. 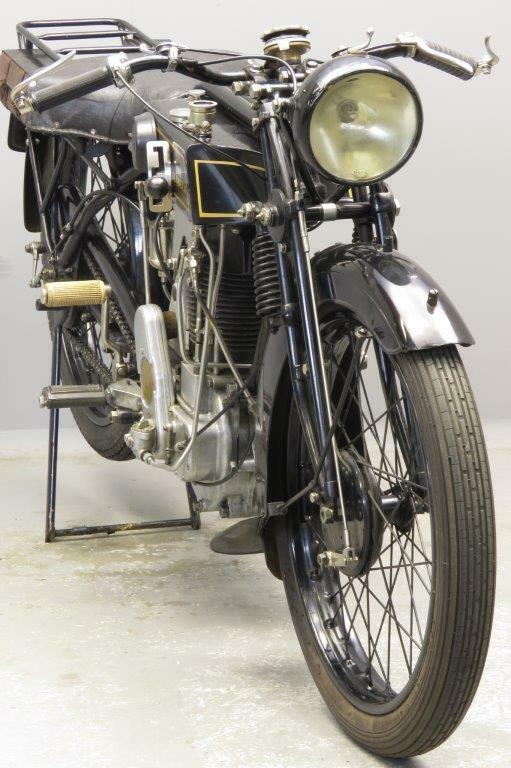 A luggage carrier has been added and shock absorbers incorporated in the front forks. (…)”. 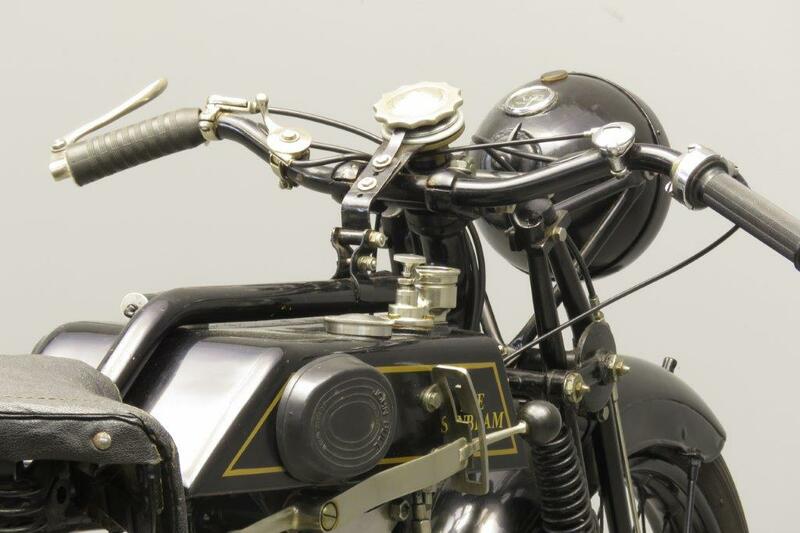 This vintage high-class sports machine is the single port version and comes complete with Andre steering damper and Lucas magdyno plus headlamp. She has been restored a number of years ago and is an impressive runner.